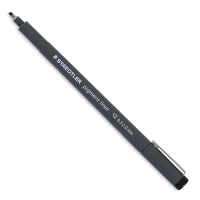 The Pigment Liner by Staedtler is great for writing, sketching, and drawing, with a long metal tip that makes it ideal for use with rulers and templates. 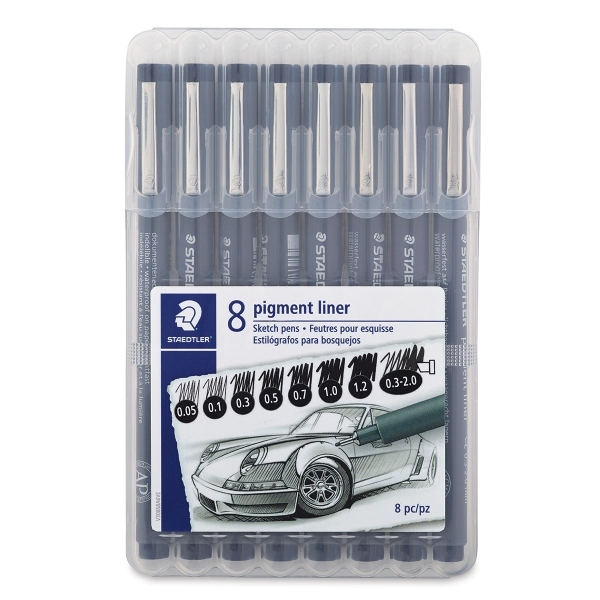 The Pigment Liner's indelible black pigment ink is waterproof and extremely lightfast, yet erasable when used on drafting paper. The ink won't bleed when highlighted. 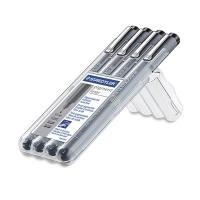 Leave the cap off for up to 18 hours and this pen won't dry out. 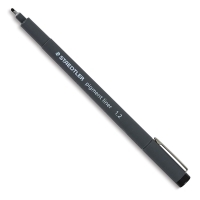 A durable barrel guarantees long life, and automatic pressure equalization prevents the Pigment Liner from leaking during air travel. 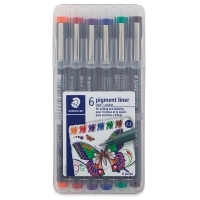 Pigment Liner Pens, Assorted Colors, Set of 6 — This set of 0.5 mmm pens contains the one each of the following Blue, Brown, Green, Orange, Purple, and Red. Pigment Liner Pens, Set of 4 — This set of Black ink pens contains one each of the following sizes 0.1 mm, 0.3 mm, 0.5 mm, and 0.7 mm. 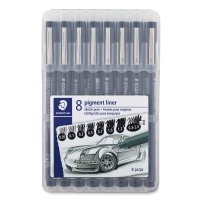 Pigment Liner Pens, Set of 8 — This set of pens include one each of 0.05 mm, 0.1 mm, 0.3 mm, 0.5 mm, 0.7 mm, 1.0 mm, 1.2 mm, and 0.3-2.0 mm chisel tip with Black ink.